While the array of issues incident to "data" and property rights (or "ownership") continues to grow both in number and complexity, many of the immediate, practical questions relate to the evolving relation between empirical scholars and their data sets and journal editors when it comes to the manuscript review process. A wider-angle lens, however, as well as an international perspective, are developed in a recent, brief working paper/report, Data Ownership. In it, Teresa Scassa (Ottawa) takes up broader questions concerning data "ownership," what ownership may mean, and how whatever it may mean can vary across jurisdictions. While certainly not the last word on these complex issues, an interesting take and perspective on a set of issues that will not likely go away anytime soon. The second annual Roundtable on Empirical Methods in Intellectual Property, co-hosted by Chicago-Kent and the U.S. Patent and Trademark Office, will take place in Chicago, IL, on 19-20 September 2014. The Roundtable seeks to give scholars engaging in empirical and experimental studies of IP a chance to receive feedback on their work at an early stage in their research. Accordingly, the Roundtable will be limited to a small cohort of scholars discussing projects that are still in their developmental stages. Projects that will have substantially begun data collection by the time of the Roundtable are inappropriate. Pilot data collection is, however, appropriate. Those interested in proposing research projects will find specific application information here. Please note that applications are due by 1 August 2014. Understanding the Realities of Modern Patent Litigation, by John Allison (Texas), Mark Lemley (Stanford), and David Schwartz (Chicago-Kent), supplies a "comprehensive picture of the outcomes of modern patent litigation." The paper updates and expands upon prior work by coding "all substantive decisions rendered by any court in every patent case filed in 2008 and 2009 -- decisions made between 2009 and 2013." The study evaluates patent validity as well as infringement and unenforceability claims. Interestingly, the paper notes "a surprising amount of continuity in the basic outcomes of patent lawsuits over the past twenty years, despite rather dramatic changes in who brought patent suits during that time." While the data only include litigation filed in 2008 and 2009 and the analyses only involve cases that persisted to the dispositive motion or trial stages (most lawsuits settle before this), the paper will certainly interest those seeking an empirical footing in patent litigation. Building off of Johnson & Johnson's recent decision to make all of its clinical data available to scientists around the world (favorable New York Time op-ed here), Dave Schwartz (Chicago-Kent) and co-authors make the case (here) that this same impulse should extend to empirical legal studies as well, particularly studies of patent assertion entities ("PAE"). An excerpt follows. "Why is more information about PAE litigation not public? After all, the underlying data relates to litigation in the federal courts, and thus does not implicate privacy concerns like in the medical context. However, most of the raw data has been gathered and coded by private companies. For-profit businesses legitimately desire to use the information within their business and to prevent competitors and others from using commercially valuable information. That said, we believe corporate owners should release as much of the raw data (not merely descriptive statistics) as they can. To the extent that the raw data is not released or shared, society should be extremely cautious before relying upon it to make important public policy decisions." The American Bar Foundation (ABF) invites scholars to join our intellectual community for the 2012-2013 academic year. The ABF encourages national and international scholars on leave or sabbatical to take advantage of our diverse community and excellent facilities. We offer an office, telephone, and computer, but no stipend. Preference will be given to visitors whose scholarship coincides with the research agenda of the ABF and who will be in residence full-time for all or part of the year. Summer visits are possible. Visitors are expected to participate in the intellectual life of the ABF, including a weekly seminar. If you have an interest in this opportunity, please send an email to Robert Nelson at rnelson@abfn.org, subject line: Visiting Scholars Program, which states (1) the topic on which you are working, (2) the preferred dates for residence, (3) the days each week you would expect to be at the ABF, and (4) attach a CV. Applications should be received by April 1, 2012. Applications will be considered as space allows. The ABF Appointments Committee will review applications and prospective visitors will be notified accordingly. 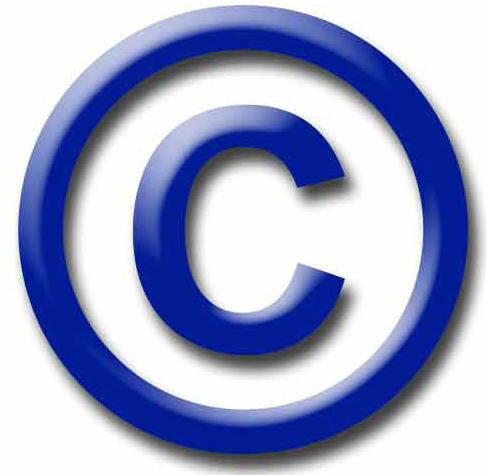 The Copyright Alliance has created a “charitable arm,” the Copyright Alliance Education Foundation. It “will develop educational programs aimed at helping America’s next generation of creators succeed.” CAEF also provides links to already existing “educational” materials on intellectual property law and promotes them for classroom use. As an example, CAEF promotes the Electronic Software Association or ESA’s Join the ©Team curriculum, a set of materials that have been around for a few years now. While they are designed for elementary school kids, they are also a fun way for law students to discuss copyright and fair use, at least for a few minutes. I have used portions of the 4th and 5th grade materials in the discussion of copyright in my video game law seminar and may use the same materials in my intellectual property law survey course. The answer, sort of, to this hypothetical is after the jump. Suppose you wanted to assign Herman Pritchett's The Roosevelt Court (1948) in your class. It's out of print. Can you just pirate copy the whole book? In answering this question, a good place to start is the recently updated Cornell Copyright Duration Chart. There are a couple of simple rules: (1) works published before 1923 are in the public domain, but (2) works published by Disney are not and never will be. For all other works, see the chart.